Need A Transponder Key Programming Service in Houston, TX? Contact 713 Locksmith Houston! We’ve been programming transponder car keys and making proximity keys for Houston, TX drivers for years. Our transponder key programming service applies to both foreign and domestic automobiles of all makes and models. What’s more is that we provide this service for a lot less than the car dealerships. Plus, we have the expert technicians and high-tech tools to program any transponder key! 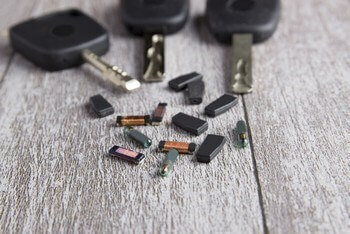 Transponder keys open and/or start cars using a radio signal. The keys have two parts, a transmitter and a responder. The transmitter is in the key itself. When the microchip in the key sends a message to the responder, if the responder recognizes the serial number, the door will open and the car will start. If the chip is broken, a new transmitter is added, or the system is malfunctioning, the key may have to be re-programmed. This requires using diagnostic equipment to get the system’s 14-digit immobilizer number. At 713 Locksmith Houston, all of our locksmiths have 5+ years experience programming car transponder keys. We also offer upfront pricing. Our expert technicians are local. This allows us to meet a speedy response window for every job. We provide 24x7 locksmith service. Our mobile locksmiths can quickly get to you whenever you call and wherever you are within Houston, TX and surrounding areas. Transponder key programming requires high-tech tools and advanced training. At 713 Locksmith Houston, we have the equipment to program your transponder keys properly and efficiently. Our locksmiths provide upfront pricing and dependable, fast and friendly service. As automobiles become more complex, programming transponder keys requires highly skilled technicians like the ones we have on our staff to do the job. We have long been providing complete locksmith service for motorists all over Houston, Texas. Our licensed, bonded, and insured locksmiths can program keys for all types of vehicles, both foreign and domestic. All of our technicians have 5+ years experience programming transponder car keys. When they get to you, they can quickly program your transponder keys no matter what type of vehicle you own. We provide fast, dependable programming of transponder keys at prices you can afford. If in addition to programming, you need replacement proximity keys, you should definitely contact 713 Locksmith Houston. We offer complete locksmith service, all of our technicians have 5+ years experience servicing proximity keys, plus we offer fast and friendly, 24/7 locksmith service and upfront pricing. Our well-trained locksmiths are licensed, bonded, and insured. Our mobile locksmiths always meet a speedy response window. There’s no better automotive locksmith in the Houston area when it comes to efficient, affordable transponder car key replacement. If you want excellent service, highly trained lock experts, professional yet friendly staff, and 24/7 availability, we are the locksmiths you should contact. We have the latest high tech tools and equipment, many years of experience, and honest, skilled technicians. Plus, we’re local so we are very familiar with the Houston, TX area and we can get to you in a flash. There’s no need for you to pay an arm and a leg to a car dealership when we offer affordable pricing and better quality service. If you want the highest quality service and a fair price for the work, simply get in touch with us. We have earned a reputation in and around Houston, TX for the excellent auto locksmith services that we provide. Our customers all praise our technicians for their knowledge, experience, and professionalism. They are always professional, prompt, and polite. Plus, they have all been specially trained to use the latest equipment. Their vehicles are fully stocked with all the equipment needed to program transponder keys or any other type of high tech keys. Our goal is to make sure all of our clients’ lock and key services are met. Do you want the highest quality, fastest programming of transponder keys at affordable prices from a company you can trust? Call us. We will have an experienced, well-trained technician at your location in under speedyutes. Once you contact us, our technicians will be there in a flash to program your keys. 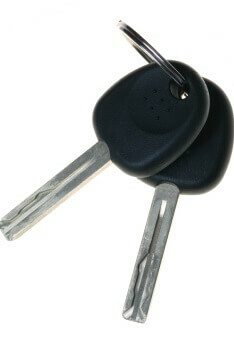 Transponder Key Programming http://713locksmith.com/transponder-key-programming/ 4.3/5 based upon 25 reviews.